A quick trip without the kids was due for my wife and I so off to Cabo we hopped. 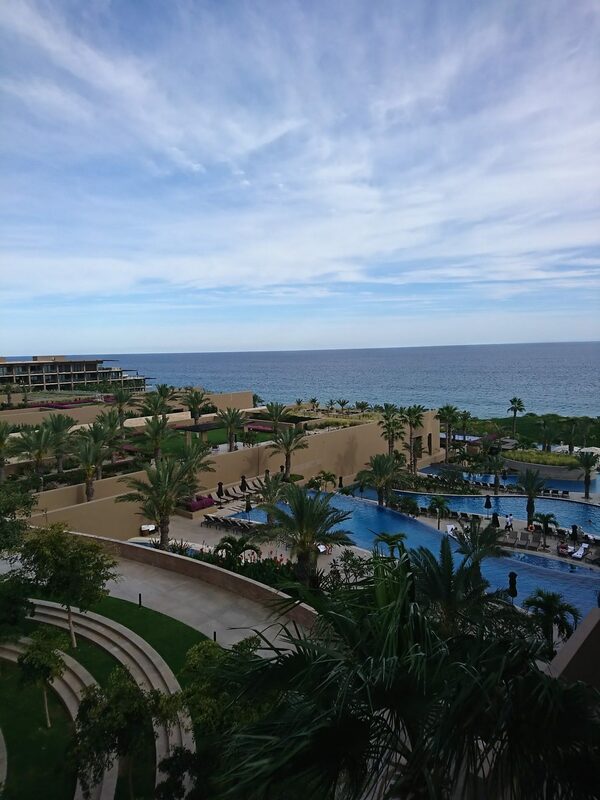 Using a combination of cash and points converted to Marriott from Starwood at 3:1, we were excited to stay at the still fairly new JW Marriott Los Cabos Beach Resort & Spa. Opened in 2015, the property is still very nice to look at. Stylish architecture and great open areas for lounging are just a couple of things that make this an attractive option in Los Cabos. Barely an upgrade this “Deluxe Ocean View” is simply a standard room on a higher floor. Lower floors may have an obstructed view of the ocean. 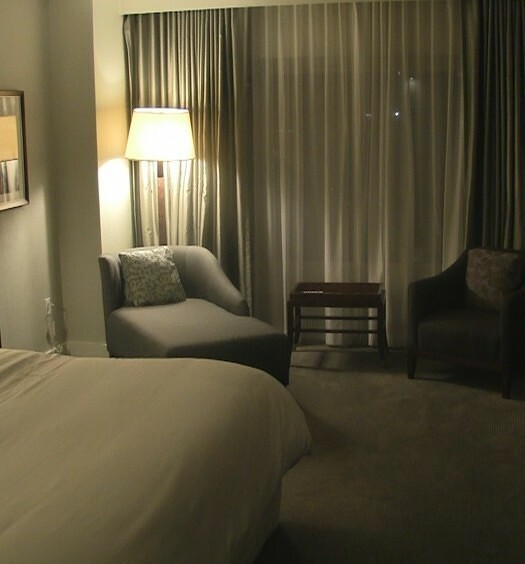 The thing is, even the most standard of rooms here offer plenty of space and a “deluxe” feel. Our king bed was a cozy retreat at the end of each sun-soaked Los Cabos adventure as was the full-sized couch. Other appointments like the large work area, connections and acceptably large TV were appreciated. 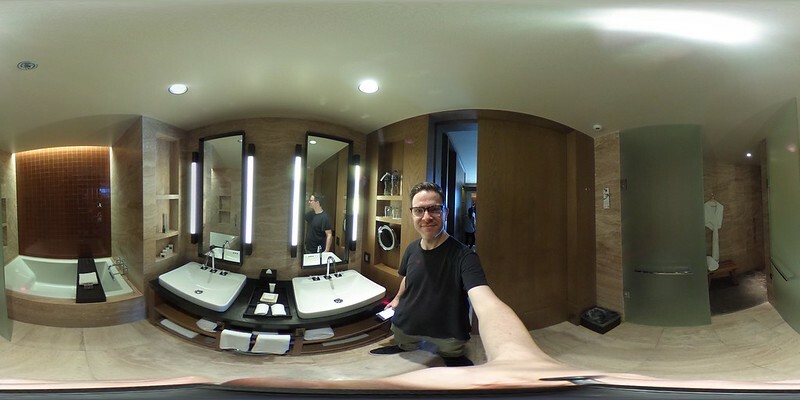 The luxurious washroom is large and well appointed. Pros include the deep soaker tub, walk-in, rainfall shower and provided upscale bath amenities. One major ‘con’ that irked my wife was that the lighting was very dim. Without much sunlight hitting this part of the hotel at key parts of the day, our whole room was a bit dark. It’s a lot more noticeable when trying to apply makeup…I’m told. At the very end of our stay we noticed what appeared to be large areas of water damage in the entry hallway on the opposite side of the bathroom wall. Because the room is so dim, it was easy to miss but concerning nonetheless. Hopefully the problem was contained to this room. Water damage inside room at JW Marriott Los Cabos. Service wasn’t as personable in the main areas of the resort as early reviews indicated. Good news is that it’s leveled off at ‘very good’ in it’s newfound maturity. Except for some very minor hiccups, service was as good as you’d hope. 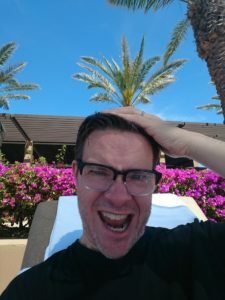 Front desk staff tried an up-sell to the in-resort resort “Griffin Club” for $250 a night that would come with breakfast, upgraded amenities and a few other perks but we declined (with no regrets later). It wasn’t a full timeshare-style pitch, but slowed up the check-in process a bit. 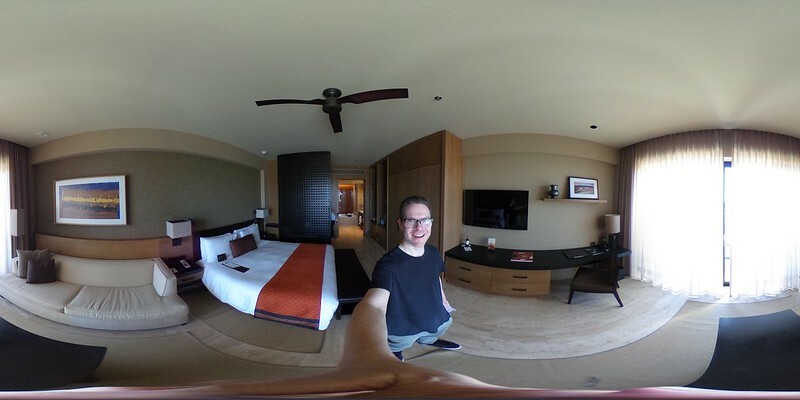 Also checking out using the Marriott app seemed to confuse the staff. I was pulled from my rental car to go re-checkout manually only to wait before my assigned desk person figured out that I already had. Like I said, tiny hiccups and still very good service otherwise. This is a beautiful resort if you want to use Marriott Rewards points in Mexico. 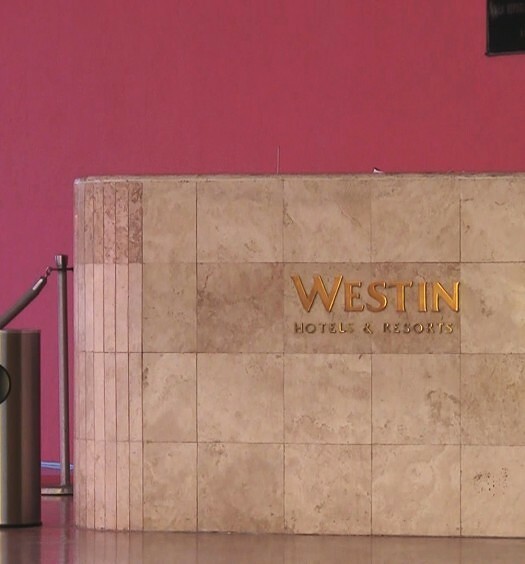 If you want a more personalized experience in Los Cabos, an upgrade to the on-site Griffin Club or a smaller resort in the area might be in order but it’s hard to imagine not enjoying a stay at JW Marriott Los Cabos. 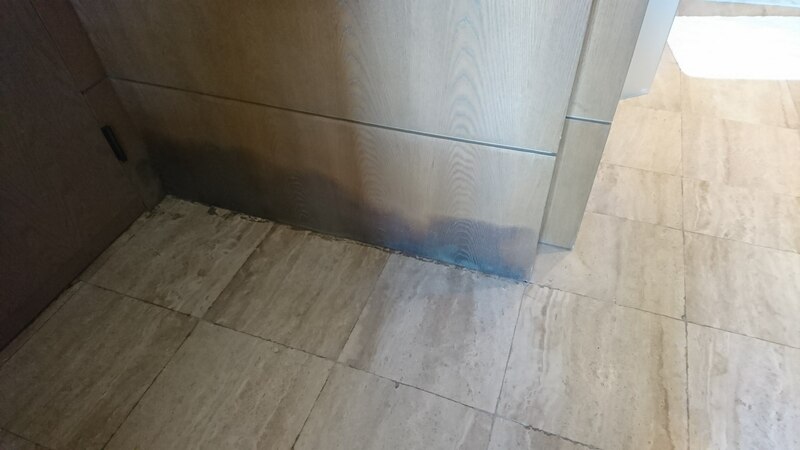 We’re hoping the apparent water leakage in our room was an isolated problem and that staff would have helped us find a new room had we noticed earlier. A short excerpt from our trip including a stop at the awesome Acre Bar + Restaurant nearby. Here’s an in-depth look into the design of JW Marriott Resort and Spa Los Cabos narrated by it’s Designer, Jim Olson.